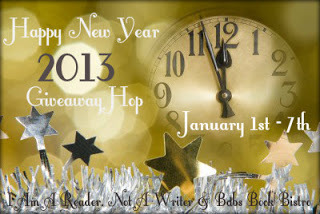 Jessabella Reads: Happy New Year 2013 Giveaway Hop: Book Of Choice From Twelve 2013 Releases! Happy New Year 2013 Giveaway Hop: Book Of Choice From Twelve 2013 Releases! I found out I was pregnant with my first child, I was NOT expecting this news! I started this blog just as an outlet for my thoughts and a way to pass the time(I was 7 months pregnant by this point)...and it has come to mean so much more to me than I ever expected. 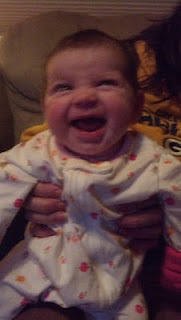 I gave birth to a beautiful baby girl and named her Adelena Grace. 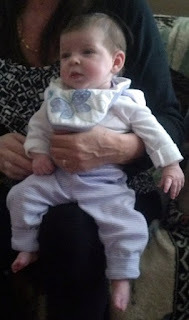 My Mom is holding her in most of these because I am the one taking the picture! 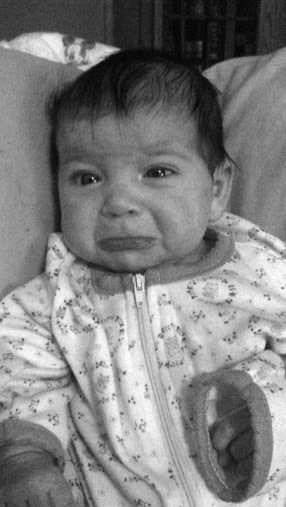 This is the pout that keeps me from blogging as much as I would like...but that's okay cuz it's so damn cute!! Now it is 2013, I have an adorable 2½ month old and I cannot imagine my life without her. 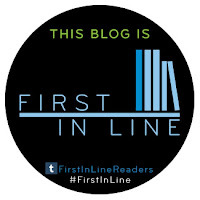 I have met so many wonderful people and read so many amazing books that I would never have had the chance to if I had not started this blog. I am soo excited to see what 2013 will bring! Now for the giveaway, yes? This is my very first giveaway of 2013! Yayyy! One winner will receive one (1) book of their choice from the ones pictured below from The Book Depository! These all release by January 8th, so they will be out by the time this giveaway ends. Open Internationally as long as The Book Depository ships to you! Now hop along to the other participating blogs for more chances to win awesome bookish prizes! I would pick Revolution 19. I've heard a lot about this book but haven't read anything by the author so I'm curious to see how the story unfolds. Thanks for the giveaway and Happy New Year! I think I would choose Splintered. Thanks for the giveaway! Thanks for the giveaway and Happy New Years! I think I would choose Revolution 19. Your baby is SO adorable!! I would probably pick The Essence. Also, forgot to put my name for Twitter follower: @Tayte5. I´d choose The Essence. Happy New Year! I would choose Paper Valentine. I want Crash and Revolution 19. Thanks for the great giveaway! I'd probably choose Through the Ever Night. I'd definitely choose Blood Prophecy! I would pick Through the Ever Night. Thanks for the awesome giveaway! Happy New Year!!! My pick would either be Altered or Rise. I'd choose Through the Ever Night or Altered. So many really great choices!!! I'd pick Through the Ever Night, Altered, or Splintered. Happy New to you, your beautiful baby girl, and family!! Your daughter is adorable~! Thanks so much and the books looks awesome. Through the Ever Night or Rise :) Thanks for the giveaway! I would probably pick Rise or Through The Ever Night. Oooh this is sorta hard to choose one, I may need to flip a coin. It's between Splintered and Altered. Revolution 19. Thank you for the giveaway! All of those books look really good and eventually I would like to read them all but I think I'd probably want to start with "Paper Valentine". It just looks cool. Thanks for the giveaway, they are all fantastic books. But I would choose Splintered or Paper Valentine. Congratulations on you beautiful baby girl, I also had my third child, a daughter this year in August, they are so precious. Happy New Year! Crash by Lisa McMann! Also, I accidentally wrote my twitter name wrong on the raffle copter, it's @bookbookbook16. Thanks! I'd love to read Paper Valentine! i'd love to win Altered. Thanks for the giveaway! I want The Essence real bad! I would choose either Through the Ever Night or Splintered! I'd love to win Splintered. Thanks for the chance! I would choose either: Blood Prophecy or Revolution 19 or Altered. They all sound GOOD!! I would probably choose Altered or Splintered. I think I would choose Altered! Thanks for the giveaway and Happy New Year! Congrats on your beautiful little girl! I'd read Blood Prophecy or Splintered. I'm not sure, but I think I would choose Altered. Several of the others are part of a series that I don't have any of, and I really like to read series from the beginning whenever possible. I'd choose Paper Valentine. Thanks for the giveaway! I would choose Paper Valentine. Thanks for having this generous giveaway. I would choose Shadowlands by Kate Brian! I would choose The Dead and Buried! Splintered. Thanks for the giveaway! Either Crash or Altered. They both sound really good! I honestly have no idea. It would be between Through the Ever Night, Splintered, Paper Valentine, Shadowlands or The Pledge. Thanks for the giveaway! Happy New Year to you and that amazingly beautiful little one of yours! Probably Through The Ever Night. Even though I kinda haven't read the first one yet... I DO have a copy it's just my tbr is currently insane. I would probably choose either Altered or Crash. I would pick Through the Ever Night -- I LOVED Under the Never Sky! Thanks for this amazing giveaway - I would love to win and pick Splintered or Through the Ever Night! I would like Splintered! Thank you for the giveaway! Hands down I would choose Altered, it looks like a lovely book! I would pick Splintered. I so want to read that. Thanks for the giveaway. I'd choose Through the Ever Night. Thank you for the giveaway! Paper Valentine! Im super curious about this book!! Maybe Joe Hill's new one. Too many on the wish list. I'd choose Splintered :) thanks for the giveaway! Not sure, maybe Altered or Paper Valentine. Thank you! Between Blood Prophecy, Paper Valentine, or Altered. I'd choose Through the Ever Night. Thanks for the giveaway! i would love to read splintered! I would probably pick The Essence! By the way you have such a little cutie!! I would definitely choose Shadow Lands! I would choose Paper Valentine. Thank you for the giveaway, happy new year! I would like to choose Paper Valentine,please!! I would choose Throught The Ever Night. Through The Ever Night DEFINITELY! I think I'd choose Splintered or Blood Prophecy! Thanks! Revolution 19. Your pictures of your baby are adorable. Congrats on being a mom. Which book would you choose from my list? (Under the Never Sky #2)By Veronica Rossi. I'd choose Through the Ever Night. Thanks and Happy New Year! 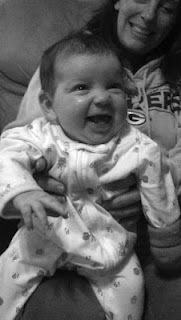 Through the Ever Night and your baby is sooo adorable btw! Maybe Splintered,I know you shouldn't judge a book by its cover,but I'm just in love with that cover! I think I would pick Paper Valentine. I adore that cover and it sounds like a good read. I'm not sure, maybe Shadowlands. Thanks! Adelena is gorgeous! I would choose altered, but i think the date it's available from the book depository is now feb 28th cause it doesn't release in the uk til then, so I'd probably choose dead and buried instead. I would pick Splintered! 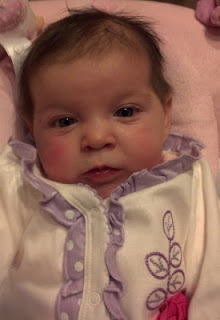 Thanks for sharing your adorable pictures, so cute! And thanks for the awesome giveaway! Happy New Year! P.S. Your baby is so beautiful! Altered by Jennifer Rush. Thanks! I will choose either Rise or Altered. I would choose Splintered. Thanks for the giveaway. I would choose Paper Valentine. Thank you! hm.. probably paper valentine. Thanks! and your daughters BEAUTIFUL! I would chose Splintered. Thanks! I think I'd choose REvolution 19.